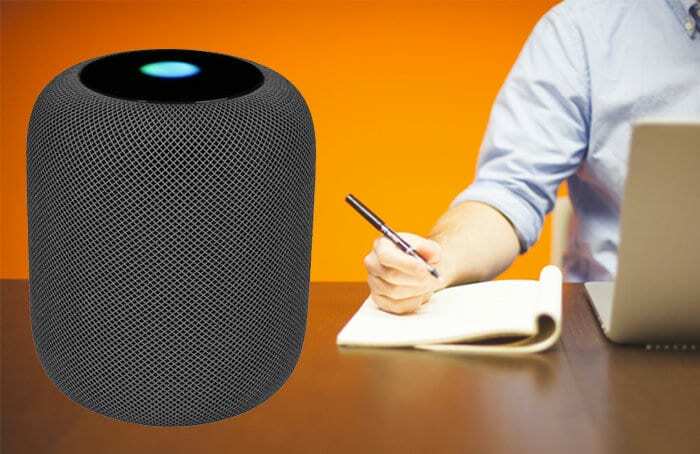 Creating notes with Siri on Apple’s Siri-based smart speaker, HomePod is just as easy as it is on your iPhone or iPad. As long as the command you give Siri is precise, the intelligent personal assistant will help you get the job done without any issues. Get started to quickly make a note on the Siri based smart speaker so that your upcoming event or party will surely be a huge hit. And if you ever come up with an exciting idea, simply ask the intelligent personal assistant to add it to the note. You just need to ensure that your iPhone or iPad and the speaker are connected to the same Wi-Fi network. To use Siri to create notes on your HomePod, simply give it a command that looks like the ones below. While this feature happens to be very useful, it is not very secure as anyone near the smart speaker can use Siri to make notes and reminders on the speaker. Luckily, there is a way you can use to turn off Personal Requests on the speaker. Simply go to the Home app on your iPhone or iPad. Siri needs to step up its game and add more versatility just as its rivals. I am sure it will still get a lot smarter and have more skill sooner than later. What do you think?